This program is designed for writers and poets who wish to strengthen their writing and stage presence for more impact, pulling on the power of the words in their work to do this. It is also for those who want to write poetry/spoken word to instigate change, whether that be for social change, for personal change or to add a creative spark to public speaking. What happens in a PIMP session? All sessions include a variety of poetry writing exercises to stimulate imagination, to provoke thoughts and ideas around strong themes and to experiment with models of writing for performance. In a safe and lively environment participants can expect to gain a new intimacy with their work and their writing practice. As well as gain confidence to share their work with others, participants can also expect to see improved results in how their work is received by an audience because of the greater understanding they will have acquired from this new connection with their writing. What does it mean to PIMP your poem? Using ideas around legacy, folk knowledge (every day cultural and human interactions), we look at how our poetry is an instinctive dialogue with the world. Using tricks and techniques that inspire deep reflection into your own creative eye and sense of creative purpose, you will The essence of your power as a writer who wants to share and perform their work. The kind of questions we will be asking ourselves are an anagram of the title of the course. Purpose – why write this poem? Why is it important? Can it serve a purpose? How? Intention – What is your intention for this piece in terms of its impact on the listener? Motivation – what drives you to read each line? Know the poetic dynamics of your work and subject matter so well you become the poem. Makes a difference when all eyes are on you and the mic awaits. Performance – other tricks and techniques in performance to make sure you ‘purpose’ for the poem is fulfilled. This is half day workshop is for all levels of writing. Beginners – Those who have not performed before but would like to get an introduction in to writing for strong performance. It focuses on getting the work off the page and resonating on stage. Intermediate – This session is for writers and poets/spoken word artists who have some stage experience but would like to explore their work discover its hidden potency. Advanced – This class is for those who have plenty of performance experience and would like to spend some time with peer professionals brushing up and exchanging poetic performance skills. Participants should bring work they want to develop and comfortable clothing. 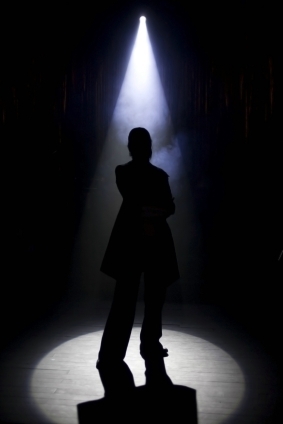 Take advantage of being under the spotlight to get a thorough workout of all your current writing and performance skills. Take away tools and techniques to ensure that these aims are fulfilled. Ground rules of critiquing agreed by all. Thrash out’ rather than ‘scratch’ a new piece of work under the scrutiny of a small group of peers (up to 10) for in-depth exploration of all the concepts, ideas, messages you want to communicate as a writer and performer. who would like a platform to flex, work out and refresh their writing and performance practice. What happens in the bootcamp? engage with their written work physically as well as intellectually to gain an understanding of body and voice muscle memory. learn about the arc and through lines in their work to understand flow in their writing practice. explore voice and body energy embody their writing to make words live for dynamic storytelling. work individually and in groups to unpack, deconstruct and reconstruct a piece of their own work to revive it, find new ways to perform it and new ways to approach their creative practice. The concept of the session is to gain a strong core confidence as an artist writer and performer which is unwavering for readings, open mic performance, Slam poetry performance, public speaking, site specific performance, working in difficult environments. Particiants are required to bring extracts of their work and wear comfortable clothing. Be your own biggest fan! And your sternest critic.